Fit for a queen is the perfect description for Zora. This regal wedding dress was made to be admired (and swooned over!). With so many lace gowns out there, I had to make Zora stand out. It’s the perfect mix of classic, modern and trendy… you can have it all! 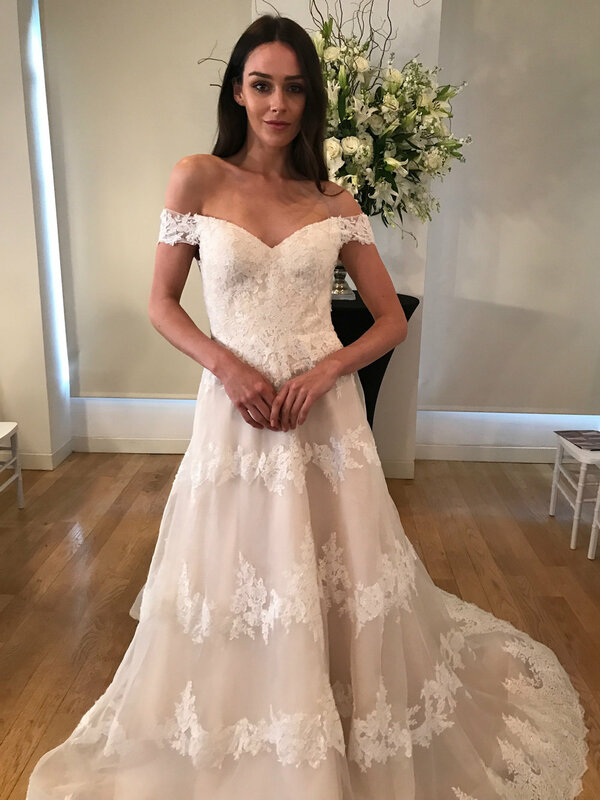 The off-the-shoulder straps blend into a pronounced sweetheart shape that is so striking on the neckline. Zora will make any bride feel like a princess: Think Kate & Pippa meet Meghan Markle! Vertical rows of lace add a fun detail for a preppy chic feel and the crystal beaded is anything but boring. Finished with a simple sparkle that glistens softly like the sun on the water, Zora is the definition of quality. 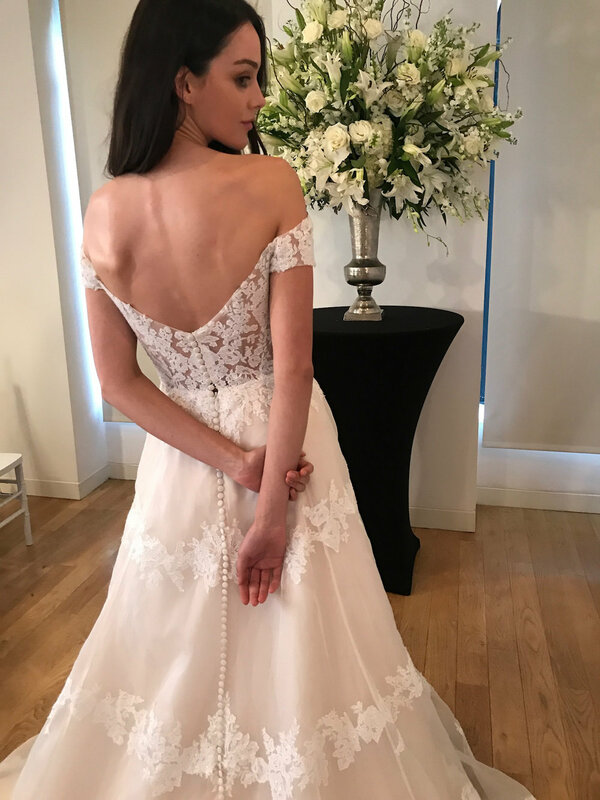 From the side, this classy ball gown has a little sass with it’s sheer illusion back and sheer side panel showing a peep of skin and the scallop edging details are to die for as the lace pops so perfectly with the barely blush base! Love the gown, but not swooning over the horizontal lace rows? No problem -- Zora can also be ordered with a plain skirt, strapless, and in Ivory.